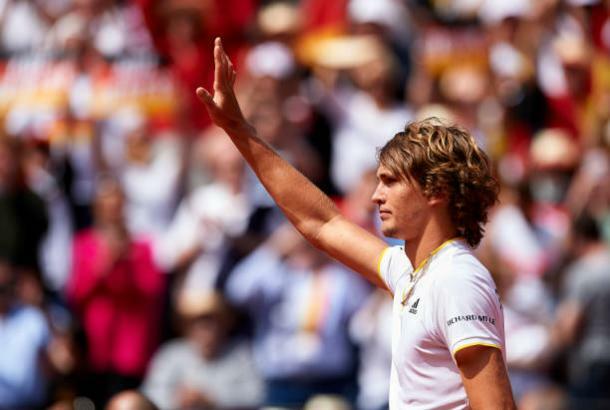 Alexander Zverev needed just 115 minutes to ease past former French Open finalist David Ferrer in the first rubber of the Davis Cup quarterfinal tie between Germany and Spain as the youngster gave his country the perfect start into the encounter. 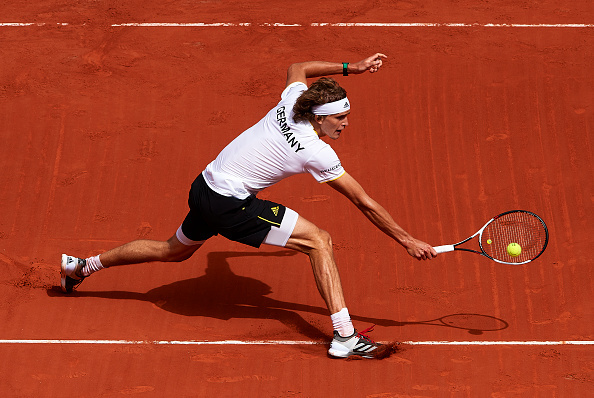 In a rare men’s match which consisted of 15 service breaks, Alexander Zverev put up a clinical performance to oust clay-court master David Ferrer in three straight sets to earn a 1-0 lead for Germany during their World Group quarterfinal tie. The German well possibly played his best match of the year thus far having beaten the veteran with a commanding scoreline of 6-4, 6-2, 6-2 after just an hour and 55-minutes of play. Although Rafael Nadal managed to help Spain level the scores to conclude the first day of action, it would be a confidence-boosting victory for the German youngster especially when the two top-10 stars will face off in a blockbuster clash on Sunday. Early errors from Ferrer saw his aggression backfire on him, sending a huge forehand wide as Zverev broke to love in the opening game. Putting up an excellent defensive display, the Spaniard fought back and returned level at the first time of asking, preventing his younger opponent from running away with the lead. The third break came in the fifth game, with Zverev’s groundstrokes being simply too good as he regained his slight advantage with a fantastic backhand. Everything seemed to be going against the former French Open finalist as he faced another two break points on his serve, but this time he was able to escape from the brink as the world number 33 finally found a solution to handle Zverev’s drop shots. Even though Ferrer put in his best effort, it still wasn’t enough to fend off an inspired Zverev as the German fourth-ranked youngster ultimately served out the opening set 6-4 after just a mere 39 minutes. Having won 12 of the past 14 points within a blink of an eye, Zverev was able to find his groove and seemed to be playing in his top form before Ferrer dug for the golden opportunity to hold serve. The German went for the lines and retrieved from a 40-0 deficit to earn a double-break advantage which put him in an advantageous position to grab the win. A rush of adrenaline saw Ferrer regaining some momentum, producing an incredible forehand passing winner to lessen the deficit. Surprisingly, five consecutive breaks came and went with Zverev having the final laugh as he stunningly rattled off eight of the last 10 points to take the second set 6-2. The third set was an exact replica of the second -- with the identical number of breaks and the same score. Double-faults often came during the crucial moments for the Spaniard while his relatively weaker serves were viciously exploited by Zverev, who was firing on all cylinders. The rubber looked to be completely over when the German number one player earned a formidable 5-2 lead, alongside the perfect chance to serve out the win. Despite being weighed by the overwhelming amount of pressure, Zverev did not disappoint and Ferrer’s 38th unforced error of the day ultimately gifted the straightforward win to the higher-ranked player.